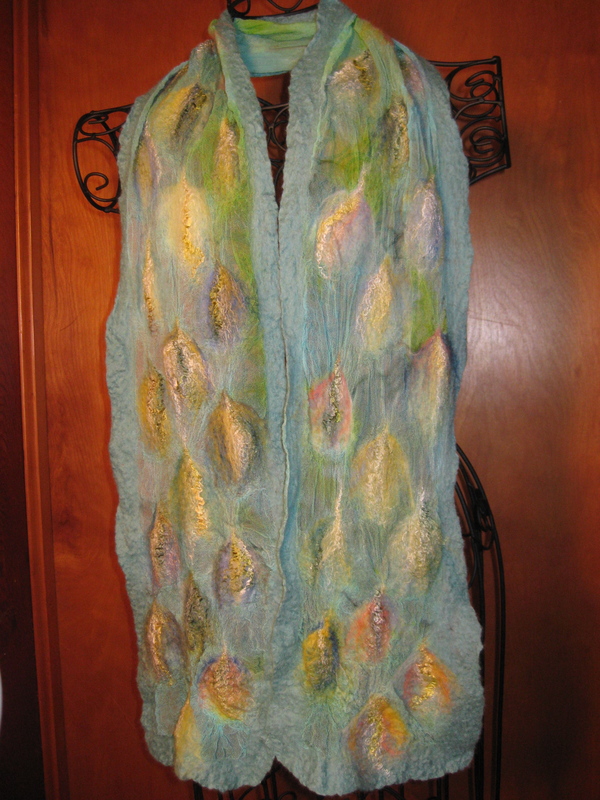 March exhibit in the atrium of The Gallery Shop in Lemont, PA: my felted scarves, tea cozies, and hand-carded/hand-spun “Improv” art yarn wearables contrast glass pieces by Kim Filkins of mekim studio. What’s next…? 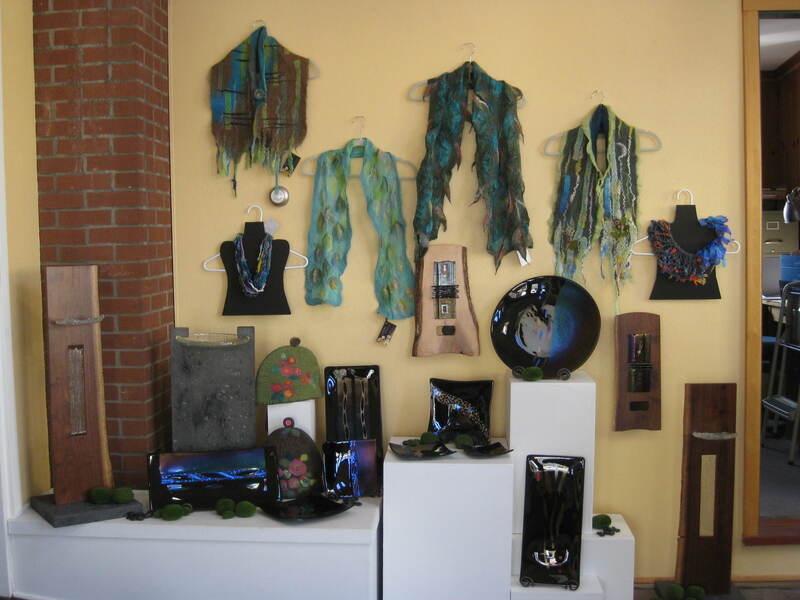 There’s always a lull after the busyness of preparing an exhibit. 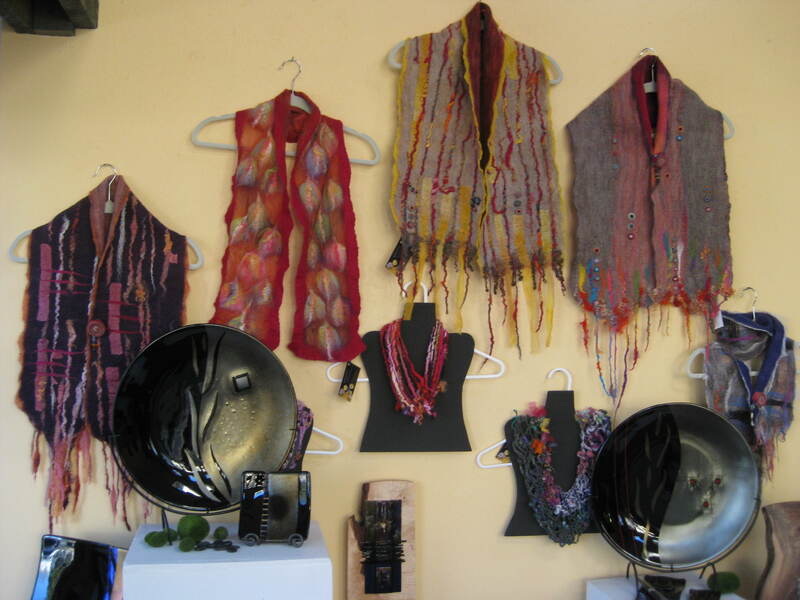 Time to tidy up the studio and refocus. I love her description of a home as “a living system” because it seems to encourage creativity and what I’d call a “deeply lived-in home.” And now, to vacuum mine…! 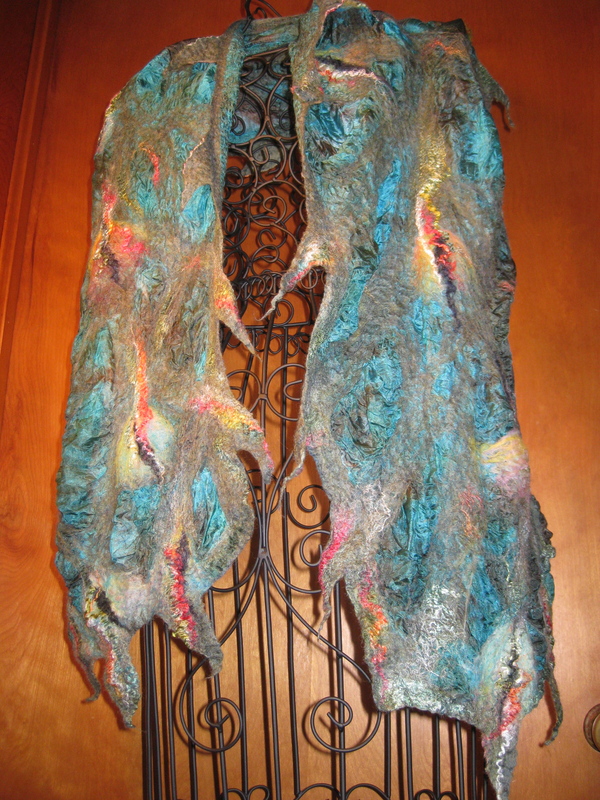 In what I’m calling “an artistic senior moment,” I used the wrong color silk fabric in this commissioned nuno shawl. 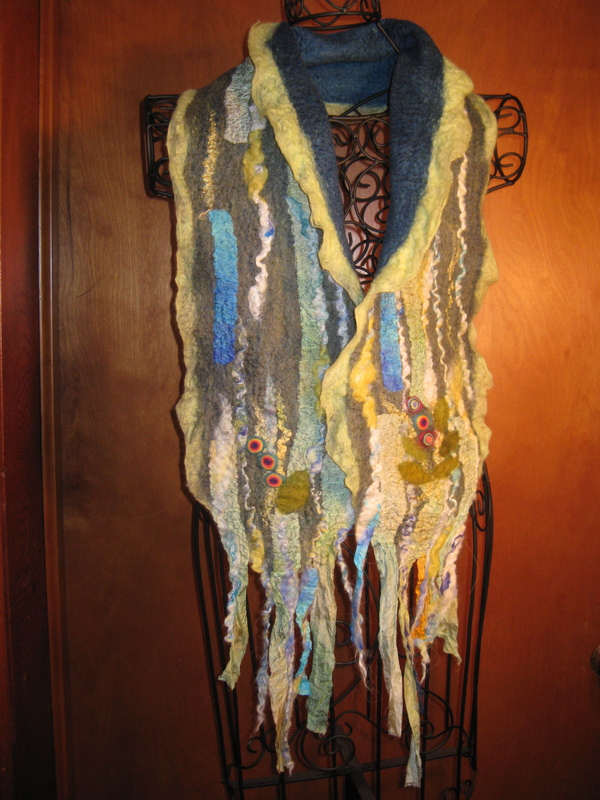 How, I wonder, could I focus for hour after hour, and get the scarf so technically splendid and yet totally wrong? And the answer to my wondering has to be that Imbolc vibe I’ve been conjuring. I’d blame it on one of “the little people,” except I suspect I AM one of the little people. Reading the Chronicle article affirmed my search and my goal: I want my art to speak to soul: to awaken a longing for the sacred; to make the comfort of convention feel somewhat uncomfortable; to tap a wild reflex in the spirit — just-so — so that it cannot help but kick. Like a rainbow reminds us of something we know. How can I do this? My work consists of trying to figure this out. 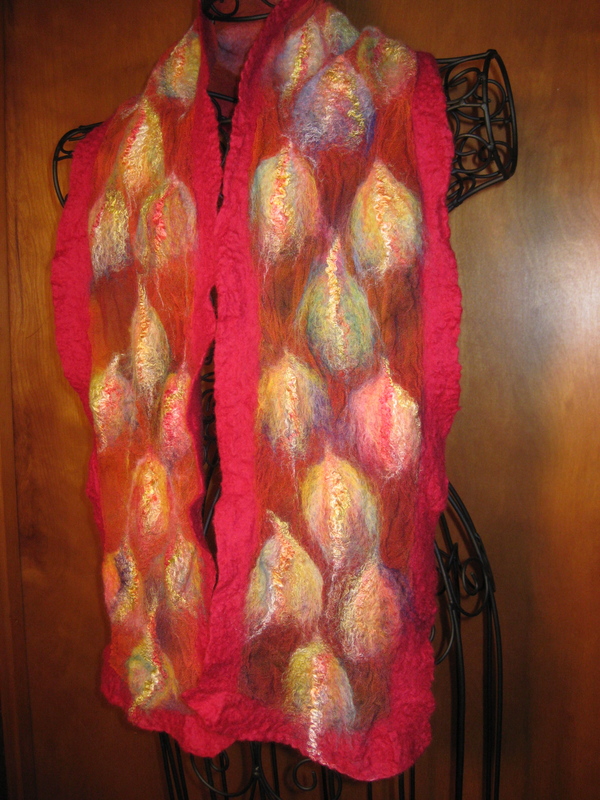 Oh the weather outside is frightful… but there’s heat in this scarf — very thin layers of merino wool and silk felted onto on a base of Suzanne Morgan’s (“Presence”) deep red hand-dyed silk chiffon. 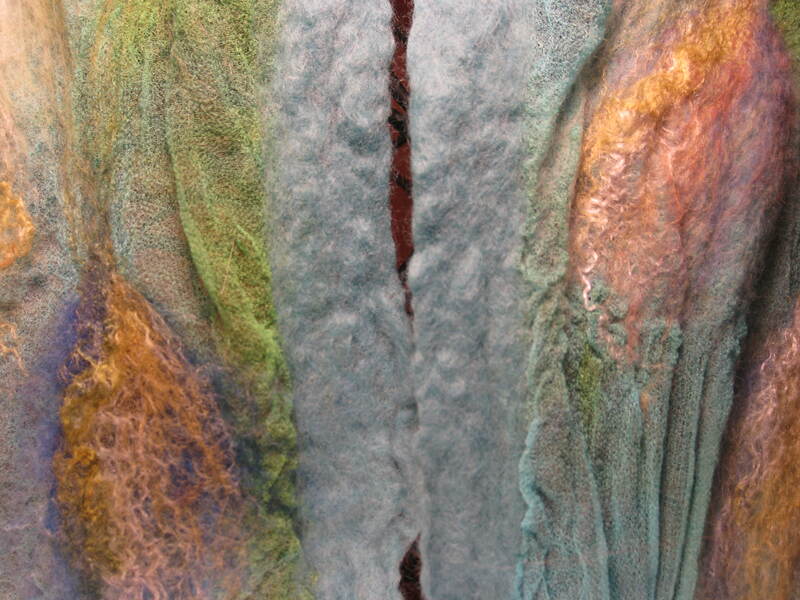 Suzanne Morgan’s hand-dyed silk chiffon is the iridescent base layer of this gossamer “nuno” felted scarf. 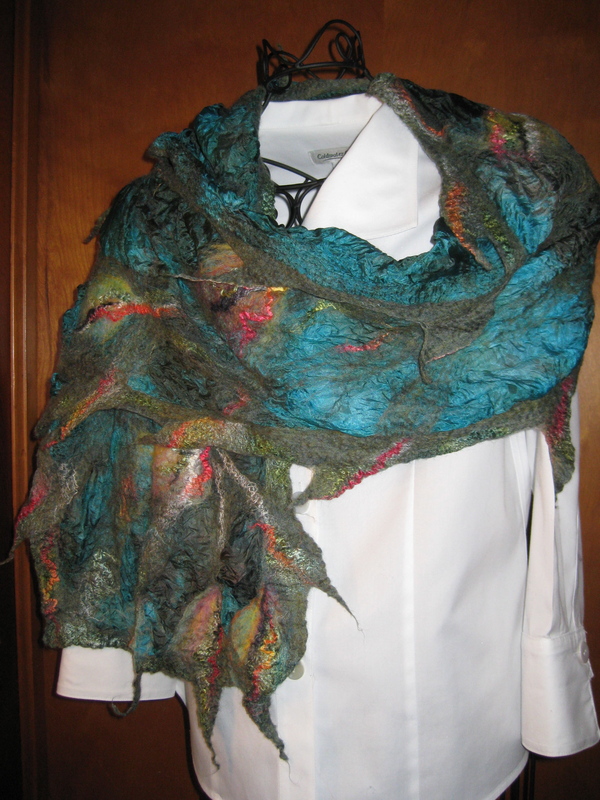 I love how Suzanne’s artfully dyed silks swirl with interesting color nuances, and glow with a lively, organic vitality — even before I begin to layer the surface elements to create a nuno scarf. 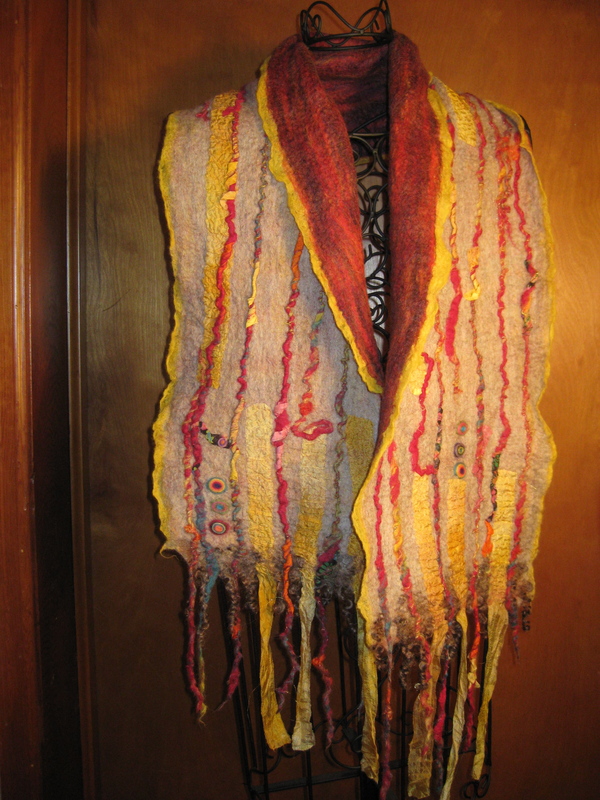 To create each of the dozens of little torches on this scarf design I’ve layered wisps of fiber from five to eight different merino wool and silk colors. 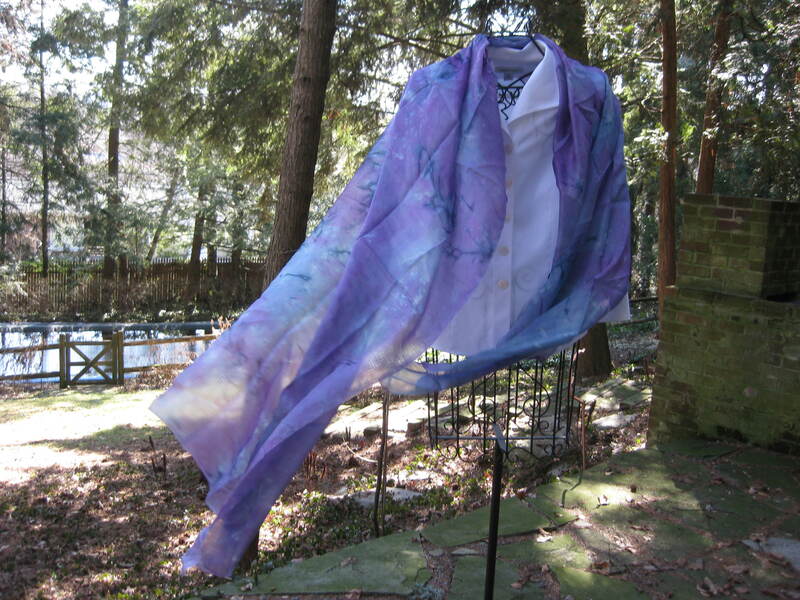 Light through the layers creates an opalescent shimmer. 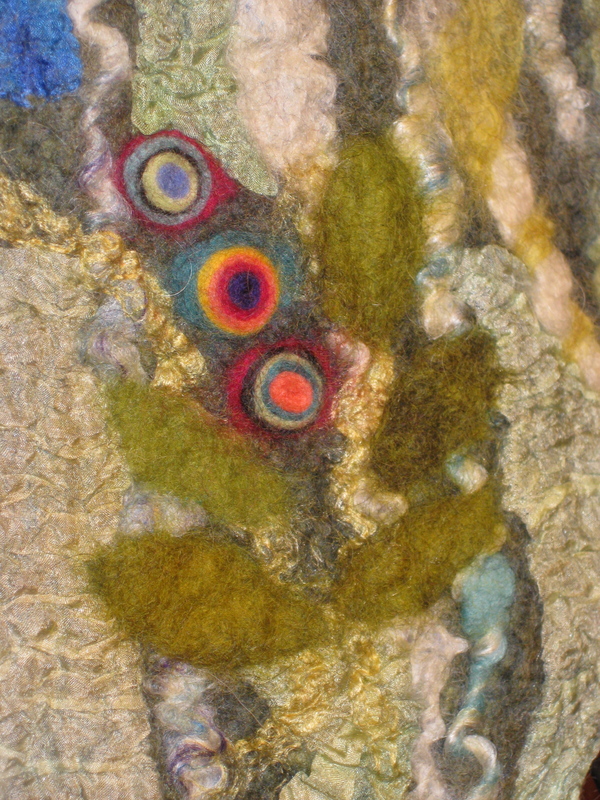 Inspiration: anticipation of spring!